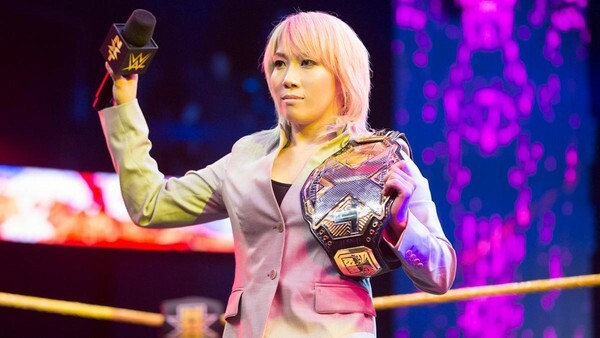 Update: It has now been confirmed that Asuka has stepped down as NXT Women's Champion. She vacated the title on a forthcoming NXT episode that was shot last night at Full Sail University. WWE confirmed this week that NXT Women's Champion Asuka would miss between six and eight weeks of action thanks to a collarbone injury sustained in her outstanding TakeOver encounter with Ember Moon. Another breathless brawl in which the challenger came as close as anybody yet to dethroning the untouchable queen, their match was the best of a rewarding Saturday bunch and arguably of the entire four days spent at the Barclays Center. However, new concerns emerge in its aftermath. Firstly, will WWE use this specific recovery time as a way to take the belt from around 'The Empress Of Tomorrow's waist? Though not always adhered to, the company has previously utilised the vaunted '30 day rule' to justify forcing a champion to surrender their gold, with Naomi an example of somebody just this year made to make that upsetting concession despite defying doctors to make it back in time for a WrestleMania reclamation. It would be a crying shame if Asuka's 500+ day reign ended in such a fashion. Not since CM Punk has a long-standing tenure carried such weight, and not since Trish Stratus has such a feat occurred in the women's division. However, an end does eventually have to come. Challenging to tackle, if the conclusion is handled well it will ensure her immortality. 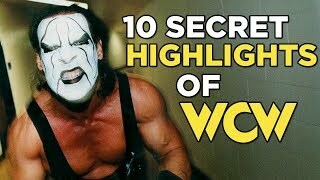 Coped with poorly, and her entire streak will be reduced to derision not seen since Scott Hall and Kevin Nash colluded to defeat Bill Goldberg in December 1998. Just who is ready for Asuka?